Crystal River, on the Gulf Coast of Florida, was once a crystal clear, spring fed bay. However, over the years it declined dramatically. Algae and muck clogged the bay and smothered all of the native eelgrass. There was no longer food or habitat for many of the species that called the bay home. It became an underwater dust bowl and a wasteland of foul smelling gunk. But that's where Save Crystal River comes in. We are a 501(c)(3) dedicated to restoring this formerly beautiful bay to once again deserve the designation of Outstanding Florida Waterway. We have donated thousands of hours of our time to ensure the bay is restored. We have had outstanding success. 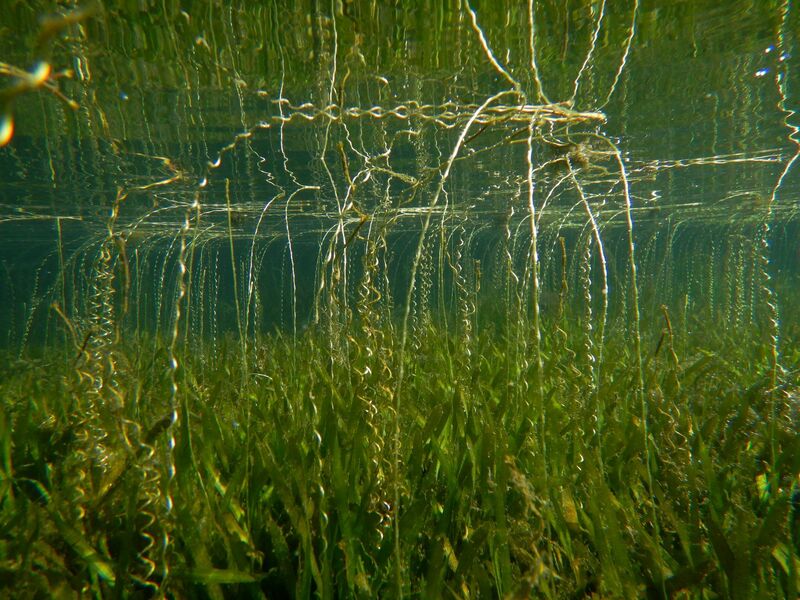 To date, we have restored over 23 acres of lush eelgrass meadows, removed over 161 million pounds of muck off the bottom, unclogged over 370 spring vents, and have removed the phosphorus and some of the nitrogen pollution in this water as part of our filtration process too. You can see how beautiful this bay is starting to look again because the picture at the top was taken just this past summer. Won't you help us to continue restoring the other 68+ acres? Each acre planted helps provide vital food and shelter for a host of species including our federally-threatened manatees. You can learn more about us by visiting our websites and following us on FaceBook. www.kingsbayrestorationproject.com and www.savecrystalriver.com. Save Crystal River has partnered with Give Lively to securely process your online donation. This transaction will appear on your credit card statement as "Save Crystal River". This transaction is subject to Give Lively's Terms and Privacy.